Excellent!! thank you for all of your beautiful crystals! I absolutely love the gemstones. 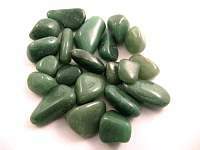 These Green Aventurine tumbled stones all look great and very nice .. Excellent!! thank you for all of your beautiful crystals! ..